The #1 Anarcho-comedy radio show on any station across the nation. Airing out of Columbus, OH every Sunday at 10 pm. 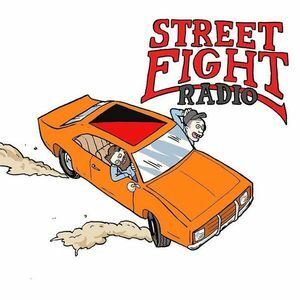 Street Fight Radio is coming back to where we got our start. Brett and Bryan will be telling tall tales about the flat earth, trip reports from adulthood, effective scams, and more. Then we’ll take your calls live in the room! That’s right, bring your best small business tyrant horror stories, DARE officer mishaps, time theft schemes, and anything else you want to share. We are the #1 Anarcho-comedy show on any station across the nation and we’re spreading our horizontally organized mess across the US. Come hang with gang.